Since 2010, the RollingPlanters have been designed, handcrafted and marketed from Ventura, California. The RollingPlanter is a design creation of Kurt Preissler, a photographer / designer originally from Washington, DC. Both Kurt and his company have emphasized good design, durable materials, quality construction and lasting capabilities. The planters are used in residential, educational and commercial hardscape applications, they arrive to their destination fully or nearly fully assembled, and they are sold coast to coast throughout in the United States and Canada. 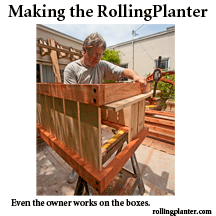 The RollingPlanter was developed over 16 years ago as a solution to grow vegetables and other plants on a large concrete carport next to Kurt's house he had purchased in Ventura, California. Kurt, who is a professional photographer and designer wanted to keep much of the carport as a useful area to shoot his photos and perform other tasks such as woodworking. In his studio everything was made to be mobile. Equipment had wheels installed to ease and effortlessly move props and materials. Setup time was reduced, cleaning and organization became less challenging. He thought, why not make planters the same way? The planters could be moved to side when the carport was needed for photo or other projects. Hence the planters created that he still has today that are nearly 17 years old. Kurt has a green thumb. While growing up in and around Washington, DC he naturally embraced gardening. Many of his friends were farmers, fruit growers, landscapers, scientist and agricultural professionals. Gardening was part of life as for this Mid-Atlantic born and raised person. As the Mid-Westerner, Southerner, New Englander, Westerner, almost everyone gardened, they kept their yards manicured, and pruned their trees. There was once joy of accomplishment and the reward was even higher for the fruits and vegetables tasted better than those trucked in from California and Florida. So it was not hard to figure out why one of the first things Kurt did when arriving in California was to start a garden. In California he had reservations, he knew the produce was fresher and it grew all year long, but he remembered that most was commercially grown produce was tasteless. He later found that much of the produce grown at farmers markets came from large truck farms (still true today). His first homes he lived in were rented. He invested in small planters so they could be moved from house to house. The planters ranged from wine barrels, plastic pots, terra cotta pots, and cedar raised bed planter kits. He became agitated, that planters made commercially lasted only a couple years. He noted: The wooden planters were shoddy constructed, materials were thin and many of poor quality grades of wood. Plastic pots started breaking down to the sun and weather. Terra cotta was too fragile to move from one location to another. Wine barrels were hard to move and fell apart in three to four years (Wood dried out and rings fell off, or they too rotted). Kurt made a decision, that when he would buy a house and after that he would make his own planters. In 1998, he bought a 1926 Spanish bungalow with a large carport. He designed three rolling planters that could be easily moved around and pushed out of the way; allowing the same area for shooting his photo projects, working on projects and growing tasty produce. In 2010, Kurt turned one of those years with zeros. It was a milestone for him, so he invited all his favorite clients and friends for a celebration. The Great Recession was taking its toll and many needed.a form of escape. Kurt a great cook put out a spread for over 70 people. During the event, a friend who was interested to have him construct a planter approached him. Two others overheard this conversation and they too requested planters. 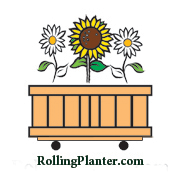 RollingPlanter.com was born. It should be known Kurt has a background in building design and construction. His family's company up to recent years manufactured the Helix Structure. ® The Helix Structure is a prefabricated round structure with 28 sides. His father, Detlev Preissler, a Bavarian immigrant, designed the Helix Structure. Along with his father and his deceased brother, Kurt sold and built hundreds through out the United States, Canada and Japan. RollingPlanter is a now few years old. Today it focuses on making planters bigger, better and even more functional. 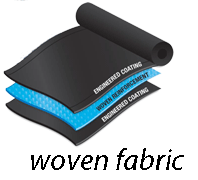 The first planter boxes were made with 12 mil black polyethylene foundation sheets; today, they are made with pond liners made from 20 mil-reinforced polyethylene sheets. The first planters had slit holes in the plastic sheets to provide water drainage it worked but it was not professional. Today, the planters have have drains that are plumbed in them. Excess water can be easily diverted, reused and conserved. The first planters used cast iron wheels. The wheels were strong but they had no brakes and could not go over irregular surfaces. Today, the planters have attractive industrial steel wheels with locks, which are able to move on almost any surface and while leaving no marks. The entire box has always been made with screws and bolts. The coatings have changed along with the metal alloys. They are now coated with either ceramic or epoxy. RollingPlanter has never used nails, clips, tacks, rods or staple or other low-grade fasteners. The planters’ structural frames are currently made with an in house lamination process from sustainably grown Douglas fir. There are always new design evolutions, such as: vertical boxes, trellises, multi-color stains, under surface watering solutions, irrigation feeds and aquaponic solutions. Quality is still the key. Everyday, the planters are made better and better, and like a Swiss army knife, they come completely or near completely assembled. Like the knife, each box can be utilized different ways with different soil types, self-watering methods or even Aquaponics.